White marble statue of female with flowers. Pretty piece would grace any garden or could be used indoors. 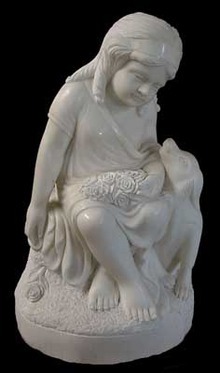 Items Similar To "69.4521 White Marble Statue of Female with Flowers"
69.4522 Marble Statue of Little Girl with Dog.